Whether you’re lying on a beach somewhere enjoying a summer holiday, or on your commute to work, it’s always a good idea to have a good podcast in your back pocket. The Media Frontier team put together our top summer listening list, in no particular order, of the podcasts currently captivating us. Not on the podcast bandwagon yet? Hop on! And get ready for a rollercoaster ride of suspenseful, emotive, comedic, philosophical, historical, and fun storytelling ear-candy. You might expect from the title something corny, sappy, and even maybe boring but Modern Love is none of these. Host Meghna Chakrabarti and editor of the NY Times column Daniel Jones share startlingly touching stories that are about much more than just love lost and/or found. The articles are always written so genuinely by the essayists and read so well by notable personalities. The stories told are of topics you can’t help but identify with at some point and are told with an honesty and a self-deprecating sense of humour that I find immensely refreshing. As you can tell, I highly recommend it. For me, that actually sums it up really well. Pip interviews a very diverse range of guests and the conversations are always eventful and engaging, nothing is off limits. 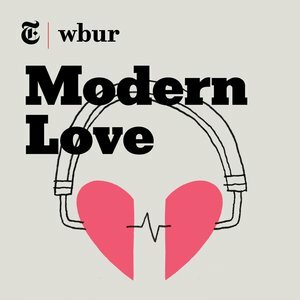 His interview style is refreshing and the podcasts are always super interesting and surprising. It’s very British. Give it a try. I listen to a lot of podcasts and I wondered if there was room in my playlist for another title – the competition is fierce. But Gladwell’s signature conversational yet questioning approach to forgotten and little-known topics is addictive. His investigative journalism roots are evident and much appreciated in the carefully researched episodes, but I admire his fearlessness in infusing his own opinions into the pieces, moving them out of the realm of pure journalism and towards the philosophical. 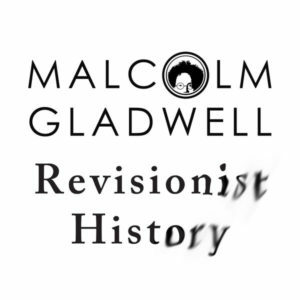 Revisionist History reminds listeners of the importance of viewing all sides of a story. “Ever wonder how inflatable men came to be regular fixtures at used car lots? Curious about the origin of the fortune cookie? Want to know why Sigmund Freud opted for a couch over an armchair? Design is everywhere in our lives, perhaps most importantly in the places where we’ve just stopped noticing. 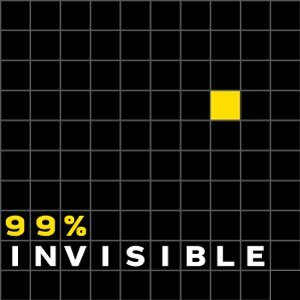 99% Invisible is a weekly exploration of the process and power of design and architecture.” The range of topics alone is impressive. Somehow Mars manages to make some of the most random or mundane things super interesting, or rather, he shines a light on how interesting they always were. This is definitely not a podcast just for design nerds, it’s about having a new perspective on the things around us. “is praised as “oral literature”, “a new phase of maturity for audio storytelling”, with something approaching a novel’s openness to complexity. It is superbly produced, innovative, fascinating and often achingly sad.” However, she then goes on to criticize the podcast’s “unjustified voyeurism”. Her article is a very interesting read, but make sure to listen to the podcast first, as it contains spoilers! 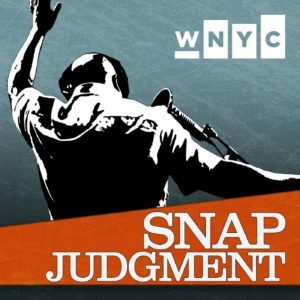 I’m tempted to describe Snap Judgement as the next generation of This American Life, which yes, rings true, but it is so much more. For TAL fans, the episodes follow a similar format, featuring several shorter stories that revolve around a common theme. Then host Glynn Washington ties everything together with incredibly on point personal anecdotes – he’s got a crazy history, thank god he’s a storyteller. Snap levels up on the traditional format by treating story like a freestyle battle or a slam poetry jam. It’s fun, it’s smart, you can’t not love it. Private Detectives. Corrupt Cops. Rupert Murdoch’s News of the World. 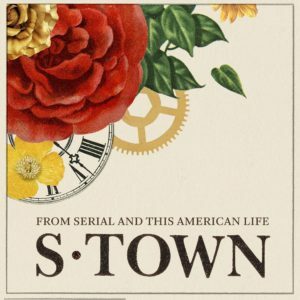 After the extraordinary and well-deserved success of Serial (over 75m listeners and counting) here’s a British-made podcast produced in the same ‘True Crime’ mould. It’s an investigation into the story of an unresolved murder of a private investigator in the 1980s. There’s the normal introduction of a cast of real characters from the past and the present – possibly a few too many in the first few programmes – but the momentum is positive and it’s accompanied by some solid storytelling and good enough sound design. There is an authenticity to the London pub and the local crime scene where alleged complicity between the police, the criminal fraternity and the media create a detailed microcosm to explore. The author journalist – Peter Jukes – may sound a little too earnest at times and his voice delivery gives the podcast a BBC feel, but the last couple of programmes – as the investigation leads right into the top tiers of compromised British politics – is well delivered by the end. 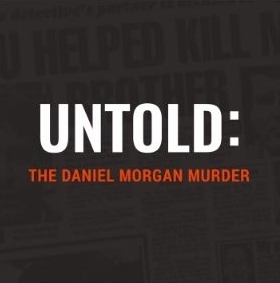 Great for a long car journey, or for those missing Serial and can’t get enough True Crime in their lives. This one’s for the literary nerds. It’s pure fiction listening pleasure delivered in deliciously bite-sized 20-50 minute segments. In my opinion, this is the new and improved rendition of The New Yorker: Fiction, in which New Yorker authors selected and read their favourite stories from the magazine’s archives. 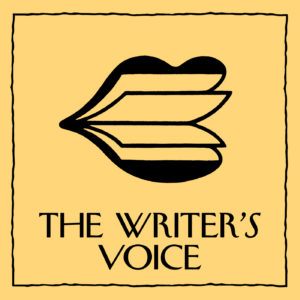 In this podcast, current New Yorker writers read their own prose from current issues. The result is a wonderfully varied, contemporary, pithy, and poignant adult story time. Enjoy.